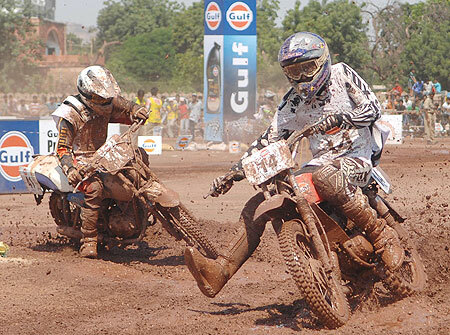 Ace bikers Pramod Joshua and Harith Noah stole the limelight at the third leg of the Gulf Cup Dirt Track FMSCI National Championship at the Polo Ground, in Panchbatti circle, Ratnada, Jodhpur on Sunday. 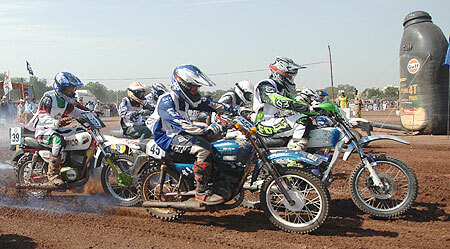 Joshua and Noah won a race each in the glamour event -- Foreign Motorcycles class for 250cc 2 and 4-stroke. While Joshua extracted the maximum from his well-prepared bike to win the first race in the category, Noah had sweet revenge over his TVS Racing teammate from Bangalore, winning the second race after a battle royale, which saw Joshua finish a dismal fourth. 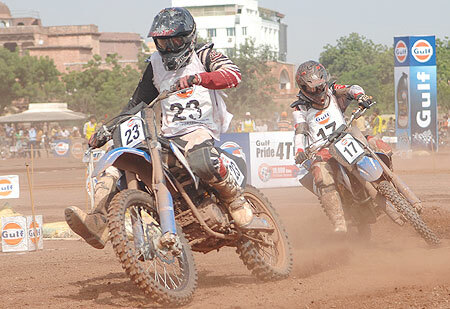 TVS Racing riders from Bangalore swept the top three places in both races. All were astride a TVS 250 FX. While Joshua won the first, finishing ahead of Noah and R Natraj, it was a different story in the second as Noah took the top spot, ahead of Natraj and Anan Ahmed. Joshua and Natraj (both astride TVS Apache RTR) also won a race each in the Indian Expert class for motorcycles upto 260cc two & four stroke. While Natraj won the first race, finishing just ahead of his TVS Racing mates from Bangalore S Madhu and Harith Noah, Joshua came up with a class act in the second as he breezed his way to first place, ahead of Natraj and Noah , who were second and third respectively. The seasoned riders, as expected, turned in a scintillating display, but it was heartening to watch the local talent and some first timers, like Nitish Sharma, who came up with a fine display in the Novice class. The Jaipur rider, astride a TVS Fiero, won a close race, for motorcycles upto 160cc 4-stroke. He was always under pressure as he went around the specially-laid out serpentine course, but, to his credit, he did well to overcome a strong challenge, finishing ahead of fellow-Jaipur riders Nitin Singh (TVS Fiero) and Raj Mathur (Yamaha), who placed second and third respectively. Bangalore's Naresh VS was the undisputed king in the Private Expert Class for modified foreign motorcycles upto 260cc. Riding a Yamaha RX 135, he faced a stiff challenge from second-placed Suhail Ahmed (Yamaha RX 135) and Bhopal's Syed Asif Ali (TVS Apache) but eventually came up trumps in both the races which finished in that order. Coimbatore's C S Anand Kumar (Yamaha RX 135), B Jagdesh Kumar (Yamaha YBX) and Bangalore's Yuva Kumar (TVS Apache RTR) won one race each in the Novice class. 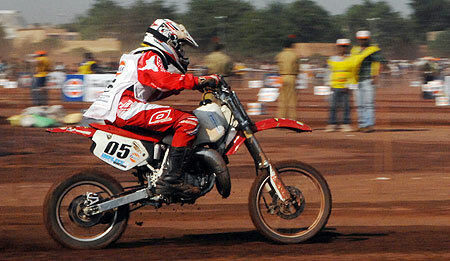 Nasik's Shamin Khan, astride a Mahindra Rodeo, as expected, won the event for scooters upto 150 2 & 4-stroke. Bangalore's R Pundrik (Kinetic Honda) and and Jahangir Ansari of Mumbai (Honda Activa) were second and third respectively. "The event was really enjoyable and thrilling. There was some great riding. 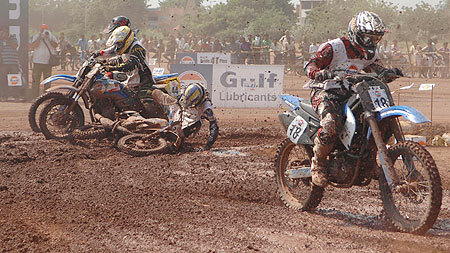 It was good to see for the first time riders and their bikes racing on a track," said a spectator.